OUR MISSION, AT BLUE PEAR FARM AND GARDENS, IS TO BUILD Upon COMMUNITY THROUGH The Arts, Educational PROGRAMMING, and to PROMOte THE BEST SUSTAINABILITY PRACTICES. It is also TO DELIVER THE FINEST LOCALLY RAISED INGREDIENTS FOR OUR BAKED GOODS AND CONFECTIONS. By design, We wish to PROVIDE THE NECESSARY TOOLS to OTHERS TO MOVE FORWARD IN THEIR OWN PURSUIT OF LIVING WELL. Our Story.....We offer just a little bit of everything at our farm! We must because we have been given stewardship of the farm that our family has called home for nearly one hundred years. Our paternal grandmother was the daughter of kulaks in the Ukraine when, at the age of 13, she fled her war torn village all alone with absolutely nothing but the will to survive. The year was 1913, when she began her unrecorded journey to America. We can only imagine that it was a road filled with struggle and hardship. She often shrugged the telling of her early life; yet, did not hesitate to discuss the work at hand. And, there was always plenty of work to be done! There is still plenty of work to be done! Our mom and dad, Charlie and Winnie Palansky, also fought their fight against many obstacles in their time to sustain the land and preserve family. Now, with the help of family, friends, and neighbors it is our time. We are Carol Palansky, Kate and Ray Ritchie, and Pamela Mann. 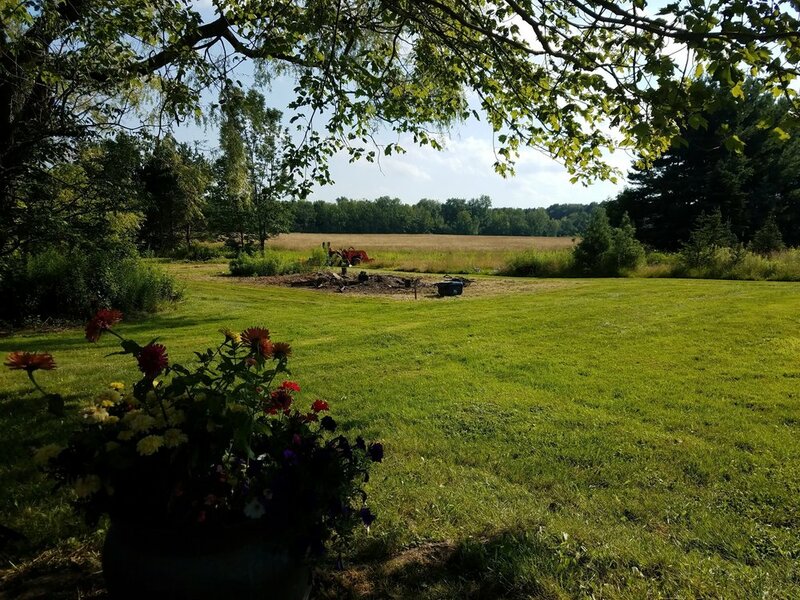 To us, the story would always begin with a small farm in East Claridon, Ohio. Each day we embrace the idea of living simply and as closely to the land as possible. What is remarkable and sometimes humorous is the way we still do things in the same way as were done years ago. Aside from a few technological advances here and there, some things have remained the same! Examples: Plucking pests by hand off the broccoli, gathering eggs in our apron pockets; chickens running around free all day only to see themselves in at night! Our noses twinge at the harvest from the dust and pollen from the Queen Anne's Lace. Perhaps best of all, we still hand select only the best fruits and vegetables for our baked goods and produce stand! It is our privilege to share this deep connection to our heritage with our Northeast Ohio Community. Won't you share with us in the timeless message to all who pledge a life of self-sustainability and embrace the philosophy of permaculture. It is also a message of replenishment and renewal with every season! Blue Pear Farm and Gardens is everyone's story who is trying to live holistically and get back to basics. We promise to deliver the best services, products, confections, and baked goods! We promise to share our experience as designers,educators,bakers,musicians,and farmers! We simply know it as the only way of life! Join us!